This Summer students of the Suzuki Association of Wisconsin have been invited to perform at the Wisconsin State Fair! 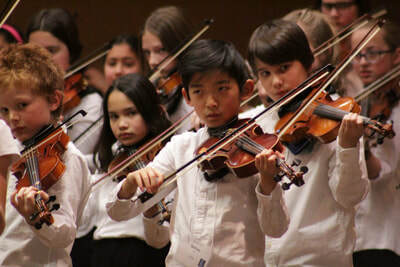 Join violin, viola, and cello students from all over the state of Wisconsin for play-in performances August 3rd at 12pm and August 4th at 11am and 12pm at the Bank Mutual Ampitheater at the Wisconsin State Fair Park in West Allis, WI. Participating students will receive free admission to the Wisconsin State Fair, and there is a limited amount of free parking available! Check the Student and Teacher registration pages for more information. Click below to download a flyer for this event!